Koeman took over 16 months ago and spent a significant amount of money overhauling the squad in the last transfer window, but Everton has won only two out of nine league games. Everton manager Ronald Koeman watches his team play Arsenal during their English Premier League match at Goodison Park in Liverpool on October 22, 2017. Everton's 2-5 defeat led to Koeman being sacked on October 23, 2017. Everton sacked manager Ronald Koeman on Monday after the club dropped into the English Premier League relegation zone following Sunday's humiliating 2-5 home defeat by Arsenal. Dutchman Koeman took over 16 months ago and spent a significant amount of money overhauling the squad in the last transfer window, but Everton has won two out of nine league games in its worst start to a season since 2005-06. "Everton Football Club can confirm that Ronald Koeman has left the club," Everton said in a statement on Monday. "Chairman Bill Kenwright, the Board of Directors and Major Shareholder Farhad Moshiri would all like to express their gratitude to Ronald for the service he has given to the club over the past 16 months and for guiding the club to seventh place in last season's Premier League campaign." Everton is one of the biggest clubs in England but won the last of its nine top-flight titles in 1987. 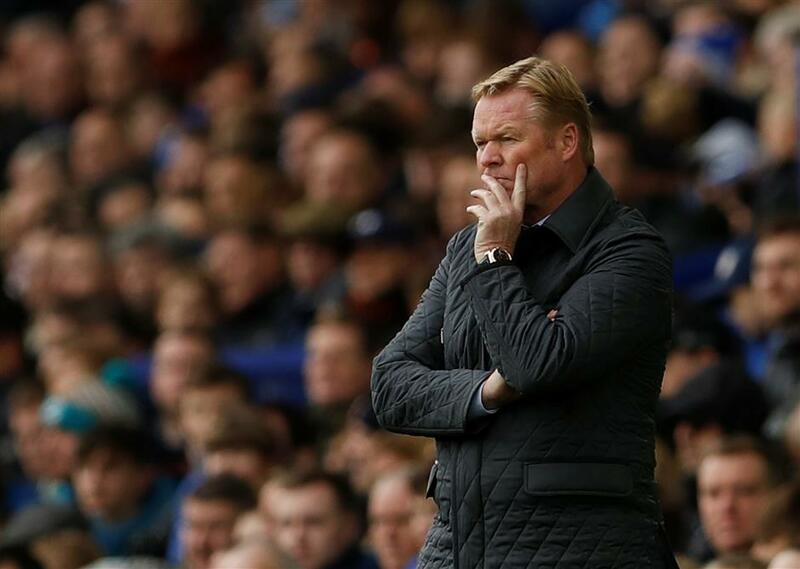 Koeman arrived from Southampton in 2016 amid huge expectation and was granted the resources to revamp the squad in the last transfer window with a net spend of 54 million pounds (US$71.1 million). But Everton has won two games in 13 in all competitions and produced another lackluster performance against Arsenal, a defeat that led to boos and many fans leaving before the end. Beyond the poor results, Everton's supporters have been discouraged by a series of muddled displays with formations and players frequently switched as Koeman, an increasingly distant figure, struggled for cohesion. "I haven't seen a worse Premier League side this year," said former player and BBC pundit Steve Claridge. "It feels like it's stale, the players here aren't of the quality needed, there's not a set system, not a pattern of play." Former Everton striker Tony Cottee told Sky Sports the sacking did not surprise him because Everton's performances have been "dreadful". Ex-Everton midfielder Peter Reid said the club made a mistake not signing a replacement for striker Romelu Lukaku while another former midfielder Leon Osman said: "It's not just results, performances of late have been really below par, really worrying and I think it was pretty inevitable this was going to happen." The 54-year-old Koeman, who replaced Roberto Martinez at Goodison Park, enjoyed a stellar playing career with Ajax Amsterdam, PSV Eindhoven, Barcelona and Feyenoord. He represented the Netherlands 78 times. He managed Ajax, Benfica, PSV, Valencia and Feyenoord before joining Southampton in 2014 and leading the Saints to sixth place in 2016, their highest ever EPL finish. Koeman is the third EPL coach to lose his job this season after Frank de Boer at Crystal Palace and Craig Shakespeare at Leicester City. The early favorite to replace Koeman is former Everton manager David Moyes who has tasted little success since he departed the Merseyside club in 2013. Others in the frame include David Unsworth who has impressed as Everton's Under-23 coach _ though he may be more of a short-term option while it looks for a permanent replacement _ Burnley's Sean Dyche as well as former Real Madrid and Chelsea handler Carlo Ancelotti.